Just over a month ago, Canon disclosed that the next camera to be added to their PowerShot lineup would feature a 1.0-inch sensor and 25x optical zoom. Keeping to its promise, Canon has formally announced the PowerShot G3 X – a superzoom compact camera with a fixed lens that looks set to challenge other long-zoom contenders on the market like the Panasonic Lumix DMC-FZ1000 and the Sony Cyber-shot RX10. The Canon PowerShot G3 X is out to appeal to those after a long-zoom camera capable of delivering top-notch image quality. 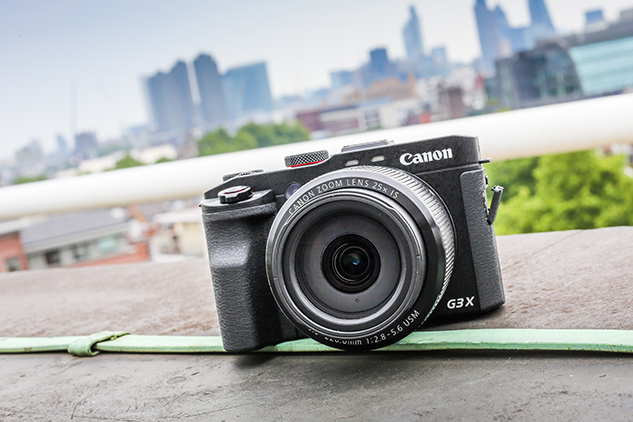 Its arrival sees it slot in-between Canon’s pocket friendly G7 X and the powerful G1 X Mark II. In this first look hands-on review we offer our first impressions after handling the camera prior to its official launch. The G3 X inherits innards from the PowerShot G7 X and, as we expected it might, features the same 1.0-inch back-illuminated CMOS sensor with a resolution of 20.9 million pixels. This sensor is partnered alongside Canon’s DIGIC 6 image processor to provide an ISO range of 125-12,800 and allows the camera to shoot a continuous burst at up to 5.9fps. Directly in front of the sensor lies the G3 X’s headline feature – its 25x optical zoom that’s equivalent to 24-600mm in 35mm terms. The lens’s construction comprises 18 elements in 13 groups with one double-sided aspherical UA lens, two single-sided aspherical UA lenses, one single-sided aspherical lens, two UD lenses and one Hi-UD lens making up its design. With a variable aperture of f/2.8-5.6 and such a long focal length on offer, the G3 X is well equipped for those who like to travel and prefer the convenience of having an all-in-one lens suitable for shooting everything from wide landscape vistas to close up wildlife shots on safari. At the widest end of the zoom the lens has a minimum focusing distance of 5cm, which increases to 85cm at full telephoto. To aid steady shooting and minimise the effect of hand shake caused by any sudden movements, the G3 X is also equipped with a five-axis dynamic image stabiliser, with intelligent IS that automatically adapts the stabilisation to match the scene. Elsewhere, the G3 X features a large 3.2inch, 1.6-million-dot tilt touchscreen that can be flipped by 180 degrees; it has a dust and drip-proof construction that’s said to be close to the same standard as found on Canon’s mid-range DSLRs; and occupies a 31-point autofocus system with single, continuous, Servo AF/AE and touch AF modes available. The shutter speed ranges from 1-1/2,000sec, it offers +/- 3EV exposure compensation control and a full suite of manual modes. However, a significant drawback is the absence of a built-in viewfinder. Like the PowerShot G1 X Mark II, the G3 X does accept the attachment of Canon’s EVF-DC1 electronic viewfinder via the hotshoe, but requires you pay £199 for the optional extra. 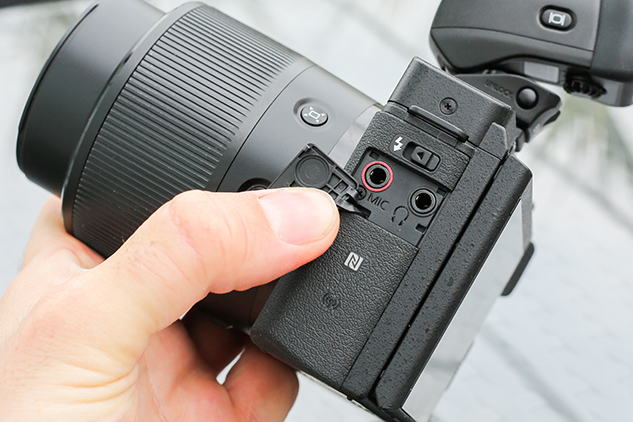 More advanced users will appreciate the G3 X’s ability to shoot in raw format, and for added control, the lens control ring can be assigned to different functions to make quick adjustments to settings on the fly. Those aspiring to get creative with video are also catered for on the G3 X, thanks to its ability to record Full HD (1920×1080) footage with variable frame rates from 24-60p. As well as a live HDMI output that allows you to view footage on an external monitor as you shoot, there’s a microphone port and headphone jack at the side of the body. Another useful feature is the addition of Wi-Fi/NFC connectivity. 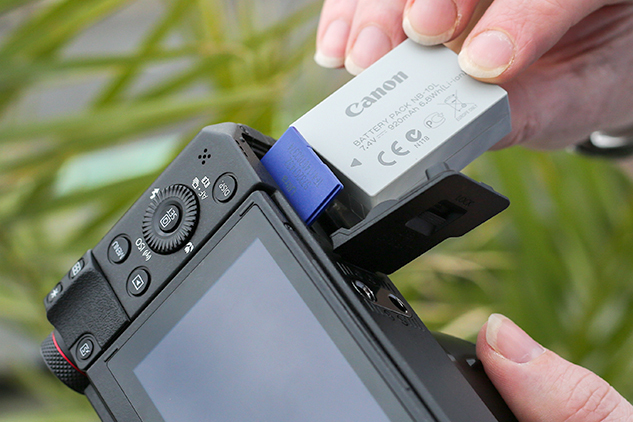 This teams up with Canon’s new Camera Connect app that’s available for both iOS and Android smartphones and tablets, and allows users to transfer images to mobile devices and control key functions. As recently tested with the Canon EOS 750D, it’s a highly intuitive app and puts some other manufacturers’ apps to shame with the manual control it offers. 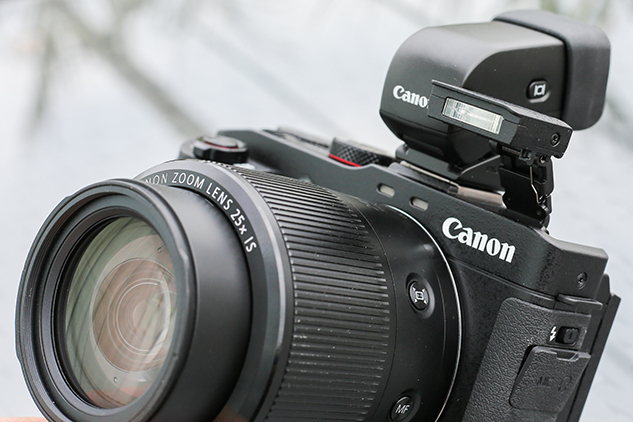 As for power, the G3 X accepts the same battery as the Canon PowerShot SX60. The NB-10L rechargeable Li-ion battery offers a mediocre stamina of 300 shots on a single charge, reducing to just 240 shots when the camera is used in combination with the EVF-DC1 viewfinder. The G3 X shares many of the same internals as the G7 X such as similar styling with its refined metal body and anodised red aluminium detailing below the mode dial; exposure compensation dial and shutter button. However, it’s a bulky camera by comparison. 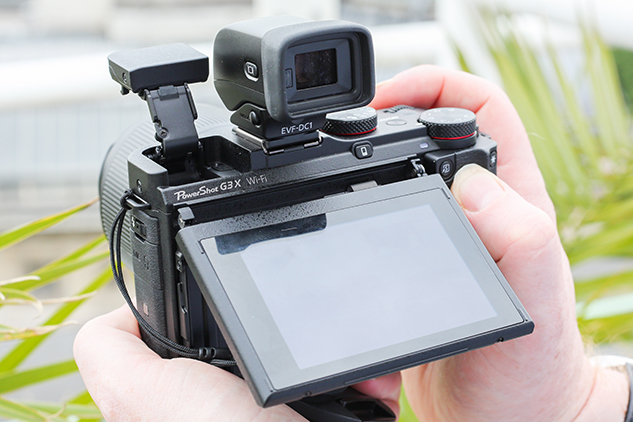 The grip is in proportion to the size of the body and feels nicely sculpted in the hand, but doesn’t offer as much to wrap around as one of its close rivals – the Panasonic Lumix DMC-FZ1000. 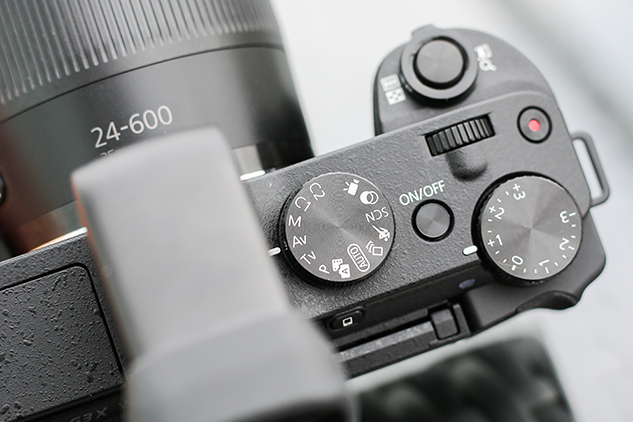 The shutter button and zoom lever are conveniently positioned for quick access with your index finger, as is the exposure compensation dial at the corner of the body that lends itself to being controlled using your thumb. Regrettably though, the mode dial is positioned a little too far forward too be comfortable and can’t be controlled by thumb alone. 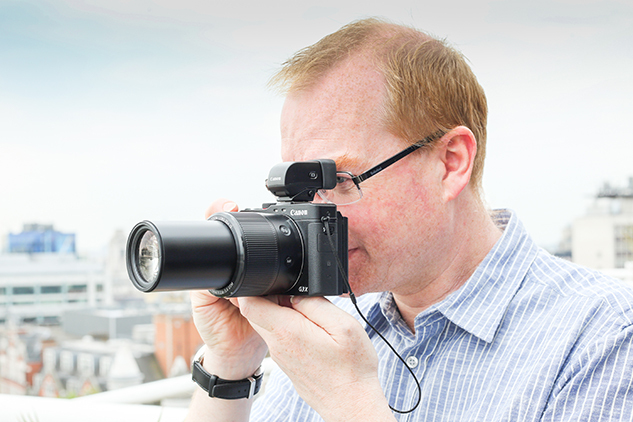 The lens protrudes a long way from the body, allowing you plenty of room to support and stabilise it in your left hand. Like other superzooms, the focal length is marked on the topside of the barrel to indicate the position at which the zoom is set and a test against the stopwatch revealed the zoom extends from its widest setting to full telephoto in just 2.4secs – a highly impressive speed considering the huge focal length it has to cover. Not only fast, the zoom operation is also incredibly smooth and silent thanks to the micro ultrasonic motor (USM) it uses. From our brief hands-on session with the G3 X, focus speed seemed exceptionally quick, particularly at the long end of the zoom where it quickly acquired focus on buildings in the distance from a rooftop terrace. Handheld shots at 600mm appeared pin-sharp on inspection via the rear screen and, as we’ve come to expect from Canon, the touchscreen responds to the lightest of touches, making navigation through the intuitively designed menu system a breeze. The size, weight and feel of the camera lend it to being raised to the eye to help stabilise it. The first time I picked up the camera I found myself taking it up to my eye before lowering it again, having not immediately realised the EVF wasn’t already attached. For many, myself included, an EVF that attaches via the hotshoe is never the same as having one built-in. 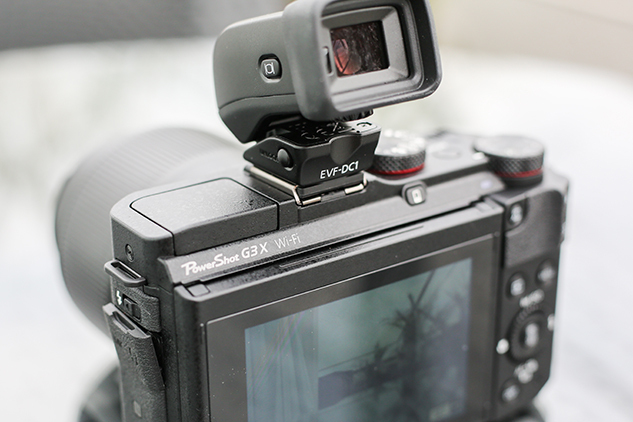 Not only does the EVF-DC1 up the price of the G3 X close to a four-figure sum, the fact it’s not integral means it’s more likely to be forgotten, lost or damaged. Those considering the G3 X may feel lost without the optional EVF-DC1 and the additional price Canon is asking could put consumers off. The idea of producing a G3 X kit with the EVF-DC1 and optional lens hood bundled-in was discussed with Canon, but we’ll have to wait to find out if this idea comes to fruition. 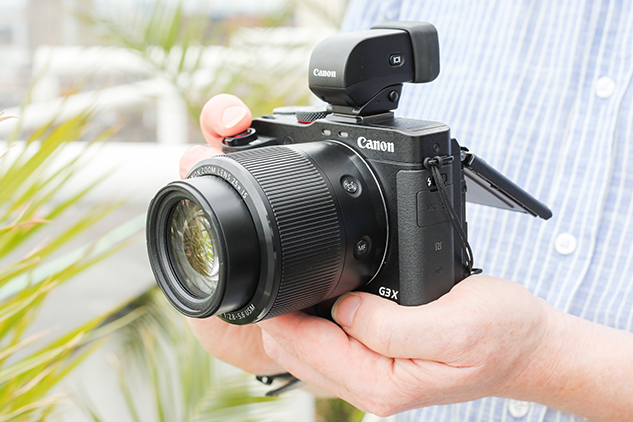 Available from mid-July, the Canon PowerShot G3 X will hit the shelves and online stores from £799.99. The additional EVF-DC1 electronic viewfinder currently costs £199.99 and the LH-DC100 lens hood that’s sold with the FA-DC67B filter adapter (67mm) as part of a set will be priced at £39.99.